Daryl Johnson (Worcester Park, United Kingdom) on 22 May 2012 in Architecture. Looks like a clean break in evolution here ! I love that old sone giant. Super shot. Very nice and cool picture! Well...maybe they work together, maybe not...but I must congratulate you on your shot! Like Ronnie said above "a clean break in evolution here"! I agree! 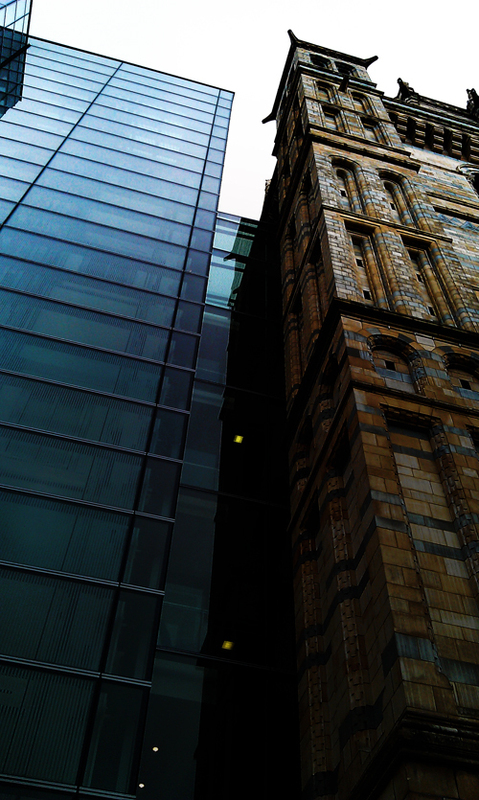 The Darwin Centre - and the evolution of architecture. Well done.